In SimpleSat, each individual user can manage their own email notifications. 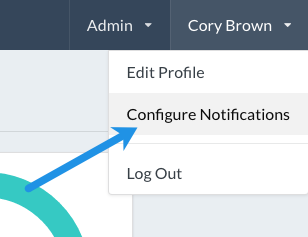 Head over to the Notifications page to manage the emails you'll receive. Instant - Emails will be sent within about 5 minutes after ratings are received. The short delay is to give your customer time to add a comment, change the rating etc. Never - Never send any emails. All individual settings below will be turned off. 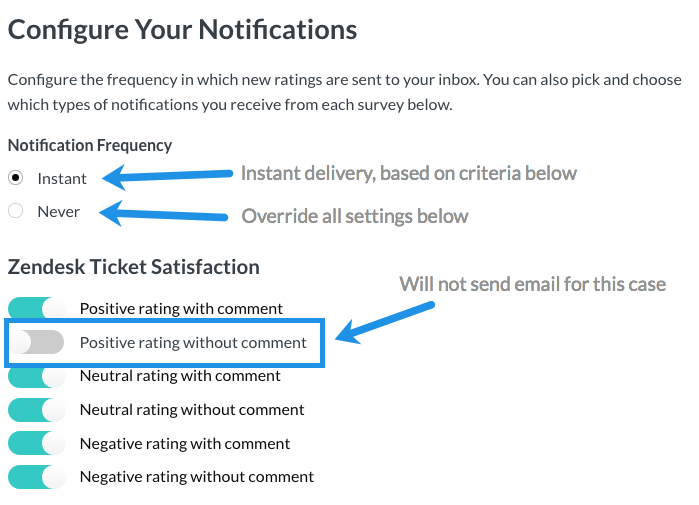 Every survey you create will have its own notification settings on this page. You can choose which emails will be sent based on the type of rating your customer provides. For example, in the image below, emails will be sent for every type of response except for positive ratings without comments.